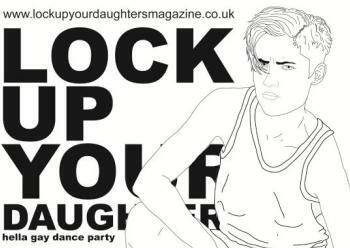 After a break from the disco scene, LOCK UP YOUR DAUGHTERS are back and badder than ever. Most exciting of all is that the return heralds the launch of issue #6! With a banquet of dance floor delights our royal and wily resident PRINCE MOG (badass beats) will be cooking up a set fit for a queen, and with LOCK UP YOUR DJ’s (electroclash, pop), this dance party will make your hips go BOOM!